Hello everyone, Kristen and Missy of Sweetly Chic Events and Design here to show you how to make these lovely DIY Floral Chair Backs. One of our top items to style with for our events has to be fresh flowers! 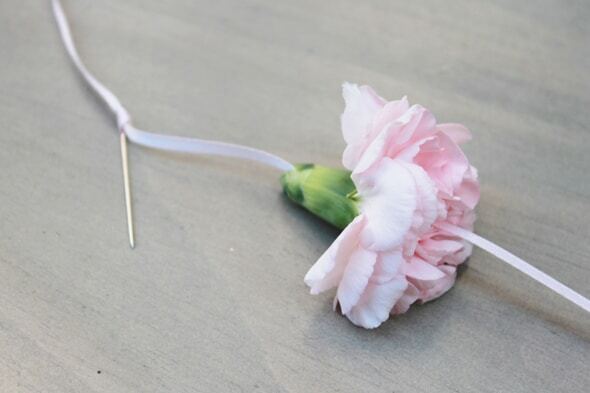 Flowers bring a lovely sense of sweet whimsy to any event, and we truly love incorporating them into our designs. We took a simple, yet unique approach to one of the floral concepts for our Be Our Guest Belle Tea Party, and created pink floral chair garlands. 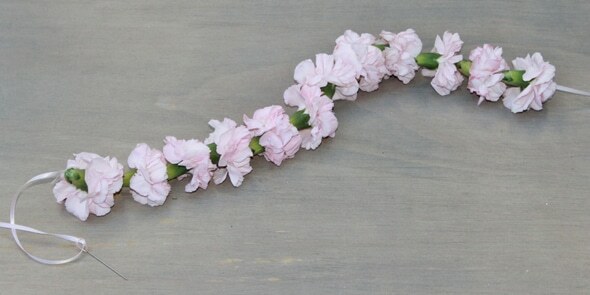 You can learn how to make these beautiful garlands as well by following the tutorial below! 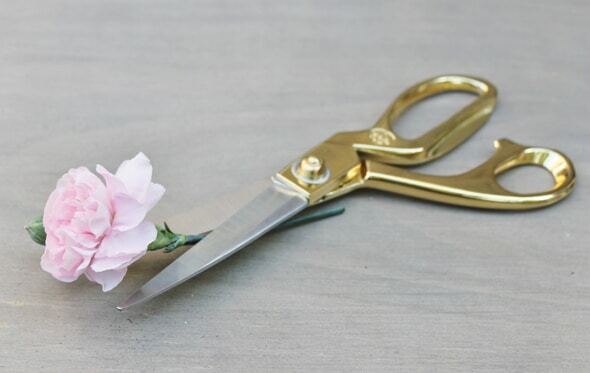 First, begin by using your scissors or floral shears to snip a flower at the base of the bloom where it meets the stem. Repeat step 1 with approximately 12-14 more flowers. Now, take your ribbon (24 inches in length) and thread it through your needle and tie a loose knot. 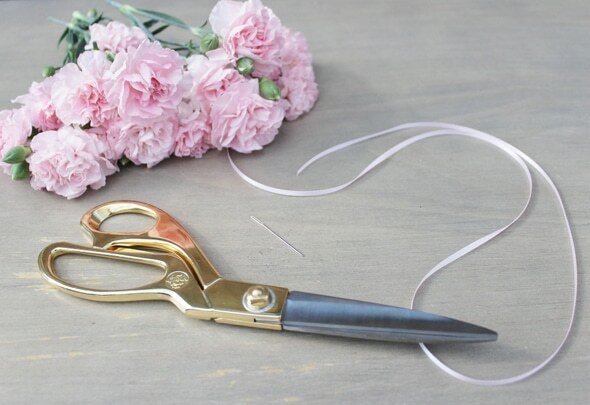 Next, take one of your cut flowers and gently thread your needle through the center of the bloom and push it through until your needle exits the back/stem end of your flower. 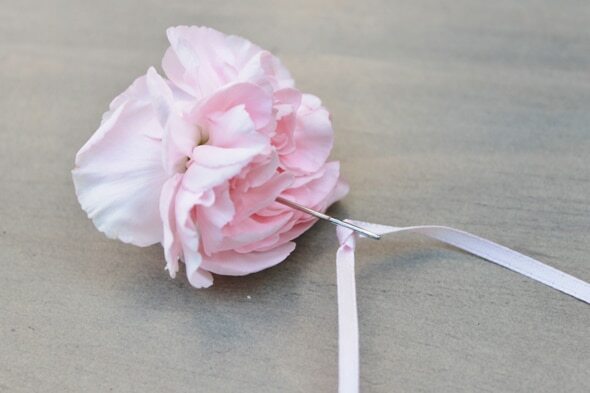 Continue pulling your needle through until your first flower has almost reached the end of your ribbon. Be sure to leave a few inches of slack of your ribbon, leaving just enough excess to later tie your garland to your chair. Repeat this step with your remaining flower blooms, threading them so each bloom touches the stem of the bloom that proceeds it. 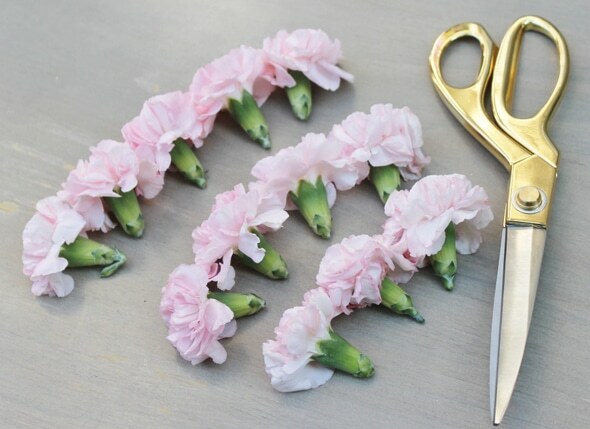 Once you have threaded all of your blooms, your floral garland is complete! 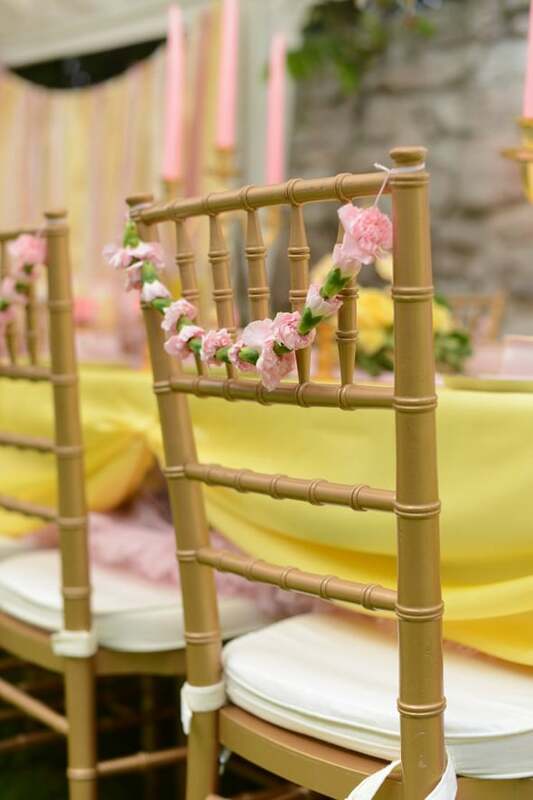 Simply tie both ends of your ribbon to the back of a chair of your choosing and you have a simple and sweet detail that adds a touch of fresh femininity to any party! 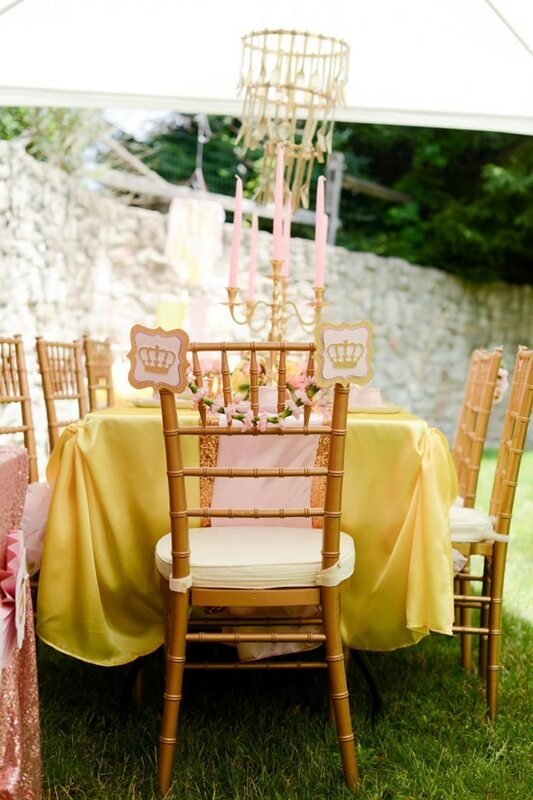 To see all of the details from our “Be Our Guest Belle Tea Party”, click here! Be Our Guest Belle Tea Party Photography is by Expressions by Nicole Marie. Check out some of these gorgeous party products! 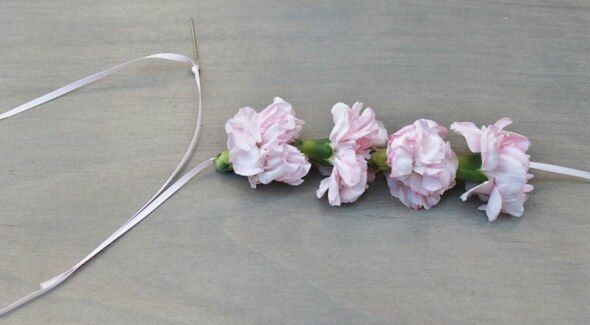 So pretty and simple to make. Would be perfect for a Sweet 16! Thank you for this fantastic tutorial. I have just the chair to try it out on.